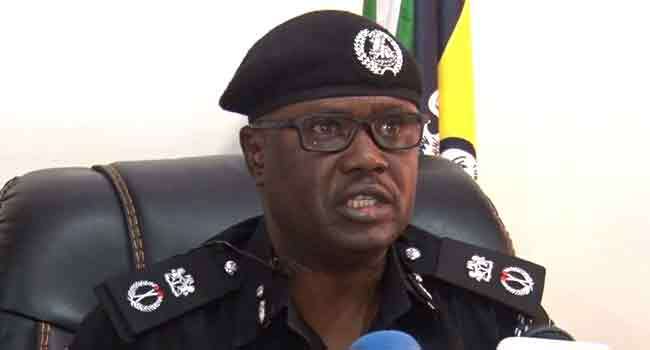 The Inspector General of Police, Ibrahim Idris, has removed the Commissioner of Police in Kogi State, Mr Ali Janga, following a jailbreak in the state. Mr Idris announced this in a statement by the Force Public Relations Officer, Jimoh Moshood, on Monday in Abuja, the nation’s capital. The decision comes hours after Mr Janga announced that six suspects, including two men who accused Senator Dino Melaye of supplying their arms, escaped from police custody in Lokoja, the state capital. However, the lawmaker has since denied the allegations and described them as attempts to silence him. In further reaction to the jailbreak, the police boss redeployed the Commander of Federal Special Anti-Robbery Squad (FSARS) in Kogi for negligence, dereliction of duty and gross misconduct. He also redeployed the Divisional Police Officer ‘A’ Division, Lokoja, where the suspects escaped, and other police officers implicated in the escape for the same offence. He consequently directed the Commissioner of Police, Federal Operations at the Force Headquarters, Mr Esa Ogbu, to immediately proceed and take over as the new police commissioner in Kogi. Furthermore, the IGP’s Intelligence Response Team and Special Tactical Squad, as well as personnel of the Force Criminal Investigation and Intelligence Department have already arrived in the state on the order of the police boss. They have been directed to work with the State Command to re-arrest the escaped suspects and carry out a detailed investigation into the escape and bring all those involved to justice. The police urged residents of the state to remain calm and assist the command with useful information to apprehend the escaped suspects.